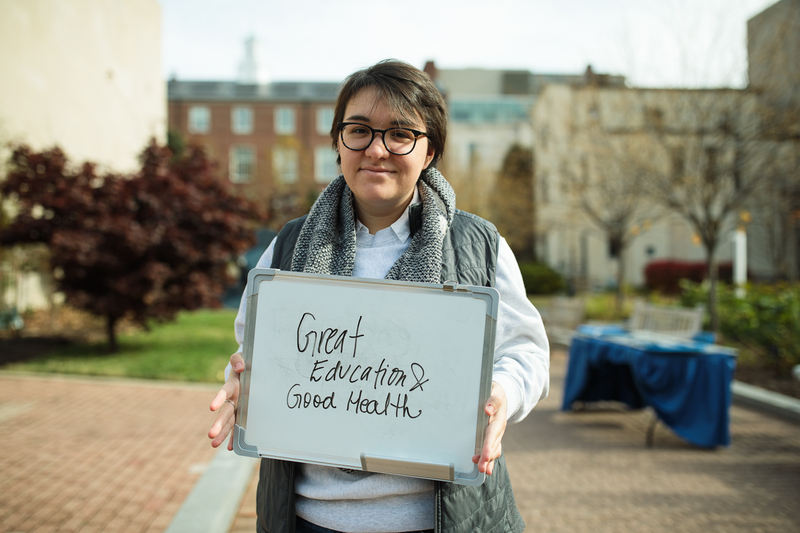 Around the Foggy Bottom campus, GW students expressed gratitude for the positive things in their lives. 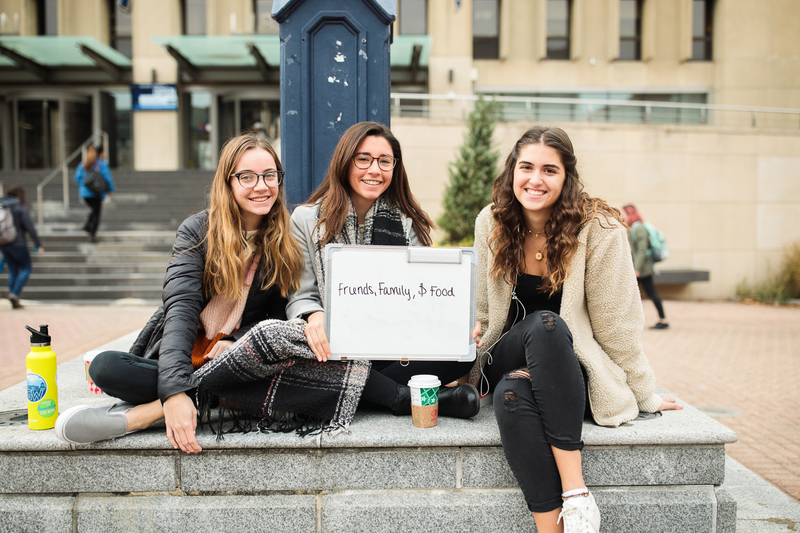 As Thanksgiving break quickly approaches, many George Washington University students are gearing up for trips home to eat good food and spend quality time with family and friends. Divya Odayappan, a junior studying international affairs: "It makes GW feel like a home even though I'm far away from home." Keely Dudek, a sophomore studying international affairs, said she was thankful for her friends' support. 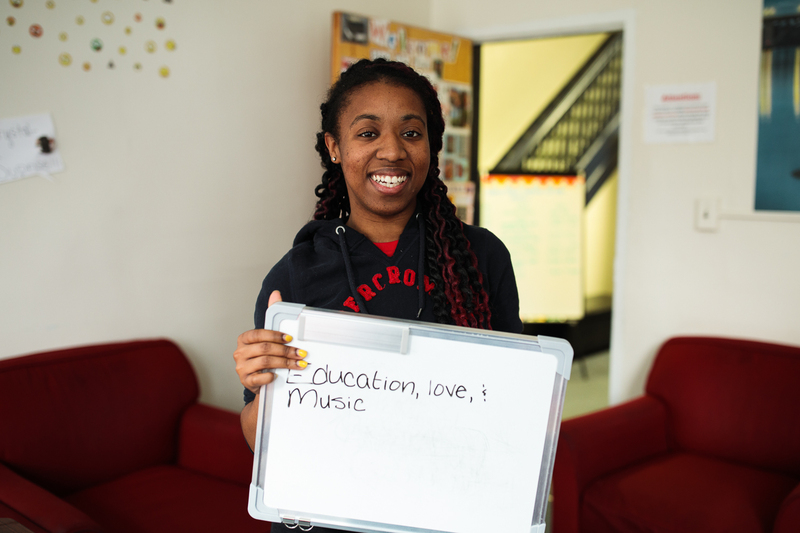 Britney Peart, a first-year student studying public health: "My morals and who I am--being a black person I think it kind of gauges who I am, how I'm seen in society. It's something that I like to embrace even though people try to put me down for being it, so I'm thankful for it." 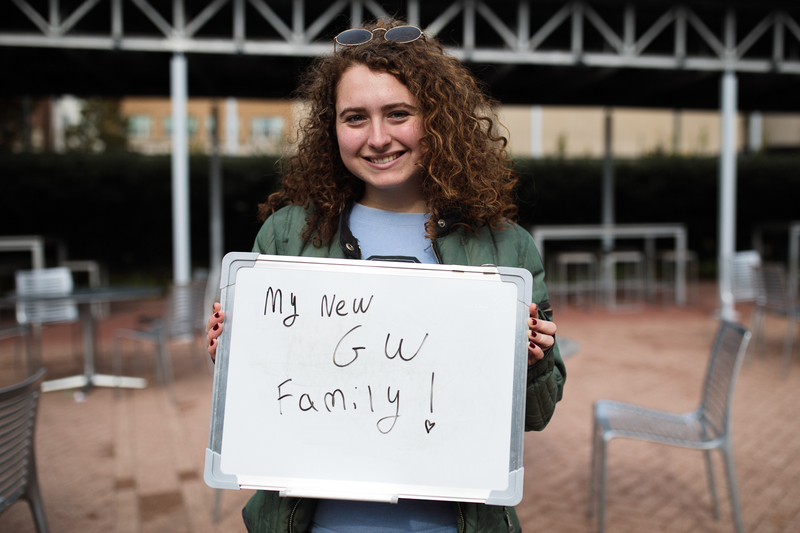 Julia Lorditch, a junior studying business, said she was thankful for "the opportunity to get a four-year degree at a very prestigious institution." Zophia Humphrey (l), Marina Peras (c) and Julia Keough (r), all first-year students studying business. Madeline Taylor, a first-year student studying journalism: "I'm thankful that the dance team here, the First Ladies, has given me so much support, and it's given me the opportunity to keep growing as a dancer." 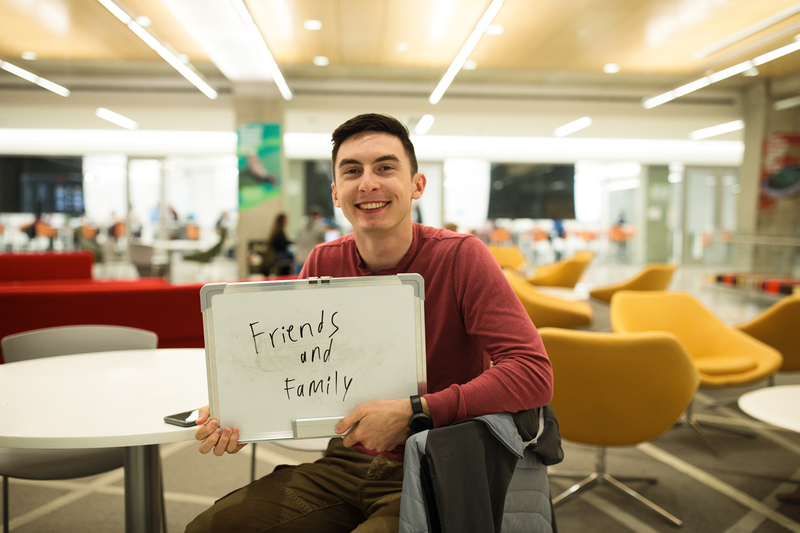 Chandler Pollock, a first-year student studying business: "I am thankful for my family and friends because they always support me in everything I do." 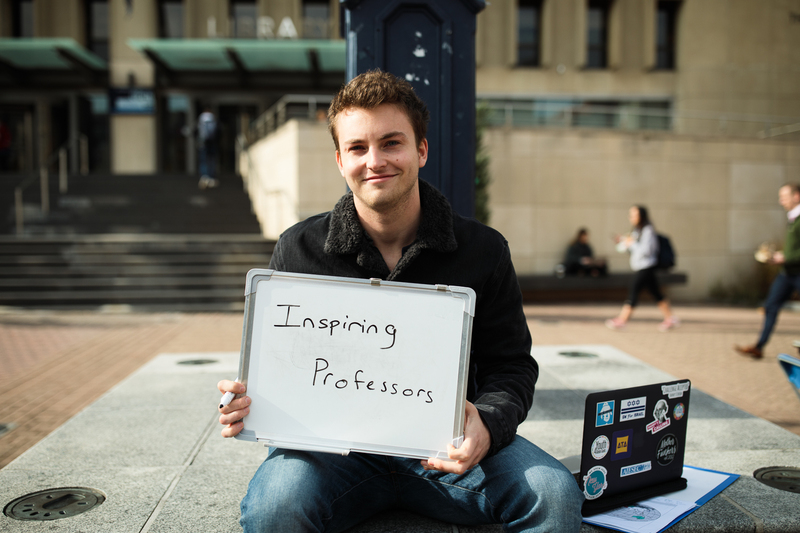 William Stein (l), a first-year student studying systems engineering: "Teachers that have an impact on your life." Justina Pruski (r), a first-year student studying biomedical engineering: "Teachers that care." 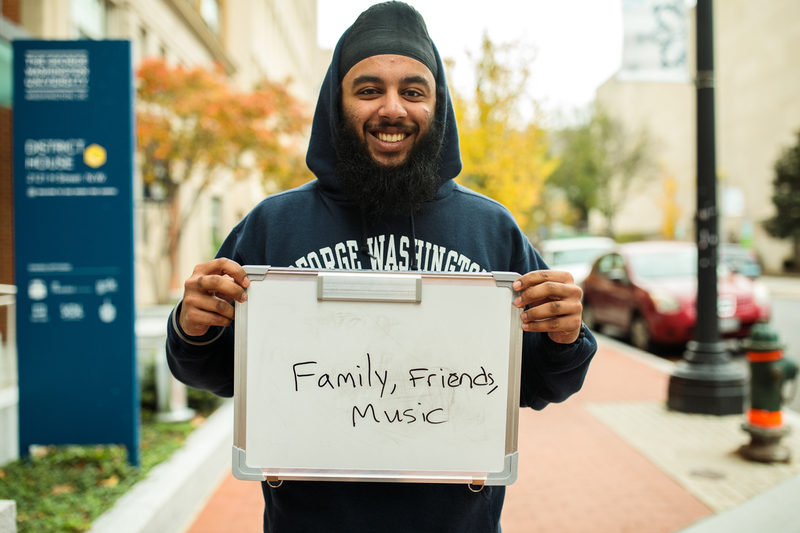 Mohmeet Choudhary, a senior studying exercise science with a pre-medical concentration: "I think music is a universal language, and so you can definitely connect to more people and more communities through music, and it really brings us together. I'm really thankful for something like that." 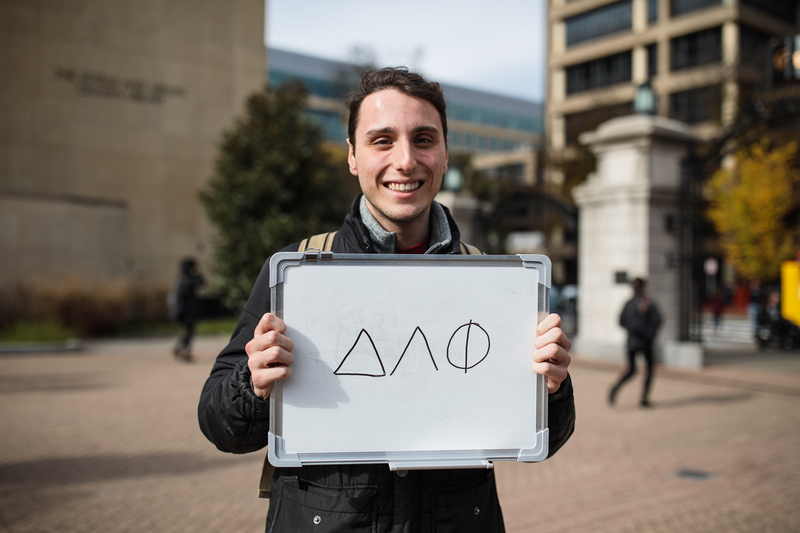 David Lange, a senior studying international development: "I'm grateful for my fraternity, Delta Lambda Phi, because we're about to become a chartered fraternity on campus after two long years of hard work. It's been an absolutely fantastic experience, I'd do it all over again in a heartbeat." Jack Fonseca, a sophomore studying mechanical engineering. 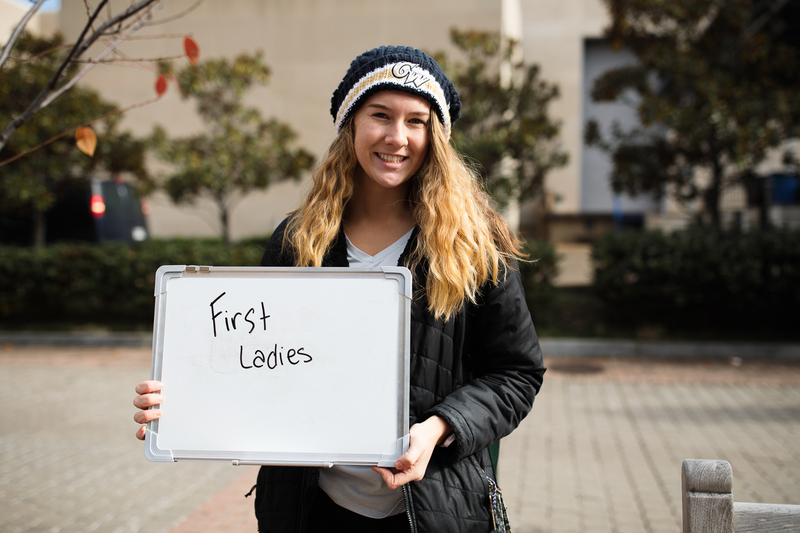 Julie Scott, a junior studying political science and public policy: "I realize that I have a lot of privilege in the education that I have. I'm really thankful for that because not everyone gets it." Elan Fox, a sophomore studying international affairs. Fabiana Avendano (l) a first-year student studying international affairs: "We went to high school together in Panama!" Isabel Tapies (r) a first-year student studying business: "The serendipitous moment of us getting into the same school." 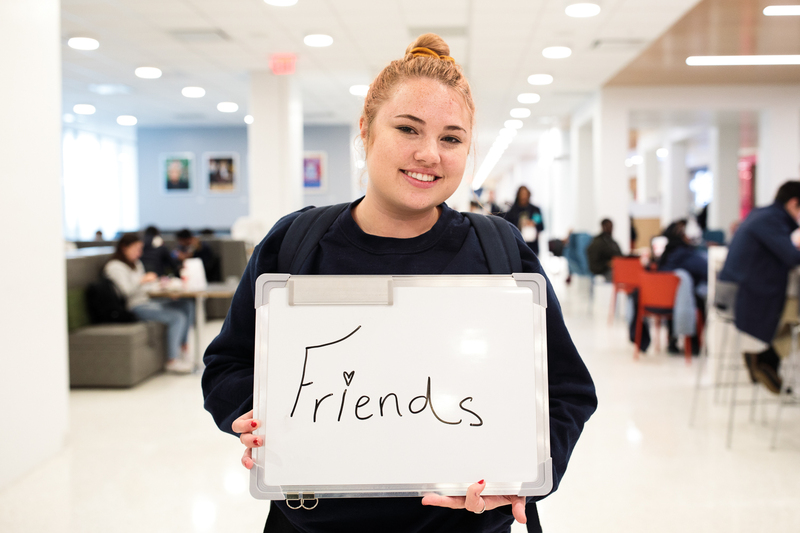 Camille Germinal, a first-year student studying political science: "They have been really helpful in making my dreams come true and helping me become successful in life." 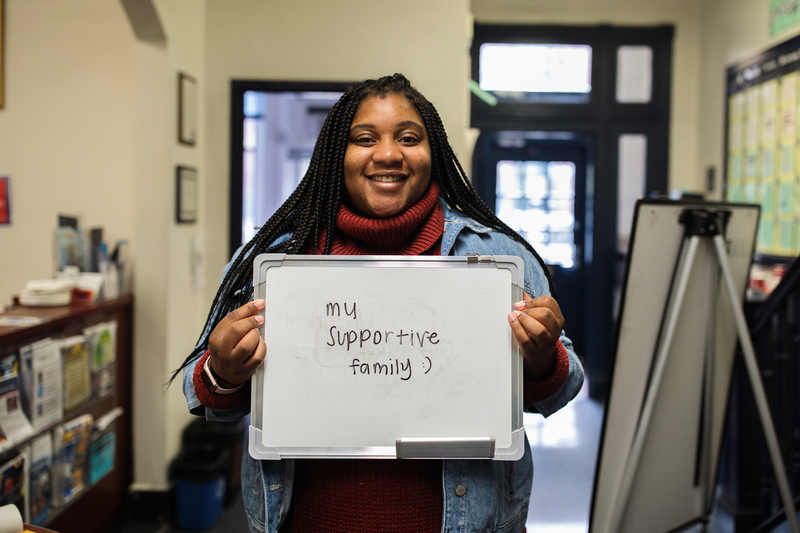 Nyshae Manning, a sophomore studying speech and hearing: "For education, I'm a first-generation college student, so it's just really important to my family that me and my siblings get an education. And then music, I've just always grown up playing music, so it's always been my stress relief or just when I feel good." Jacy Case, a first-year student studying political communication. "I was put in a six-person room in Thurston. At first I was a little concerned because it was a random six, and I didn't know any of the people, and I was like, 'Oh, this is going to be crazy, and I'm not going to know what to do.' But it turned out amazing." 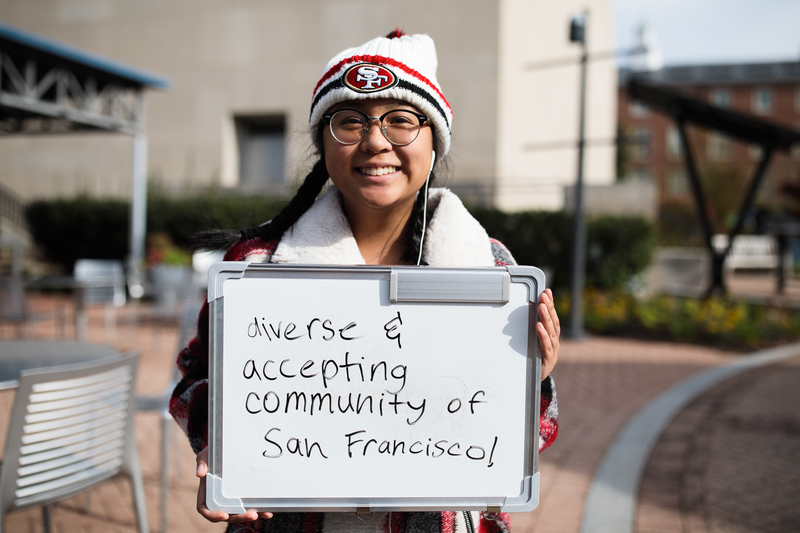 Chloe Novillos, a first-year student studying political science: "The Asian-American community specifically...I was thankful for growing up around a community that taught me how to love the color of my skin." 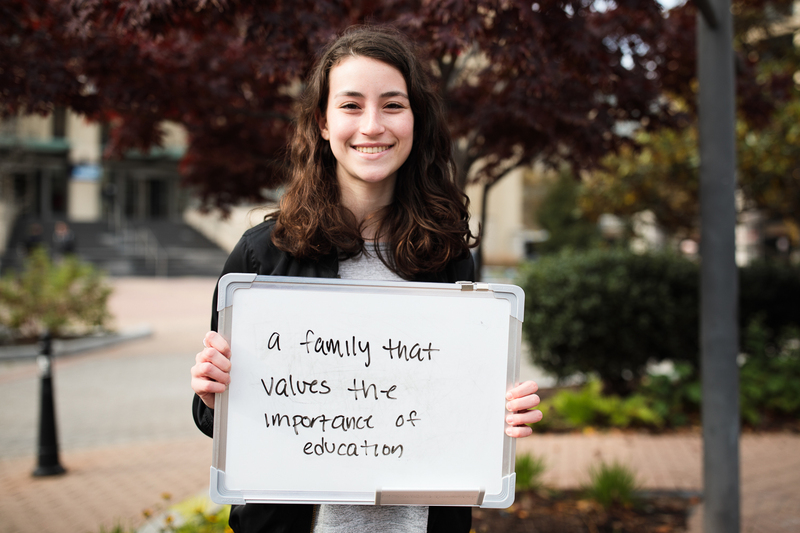 Frances McPherson, a first-year student studying political science: "My parents and my grandparents are really supportive of everyone going to college and want to do everything they can to make sure people have the chance to go to the schools and study what they want in order to further their education." Charles Aborisade, a first-year student studying political science and history: "I just like being able to learn stuff so I can implement it later. I like being able to recall information and use it so I can better myself not just for today but also for tomorrow in new situations." 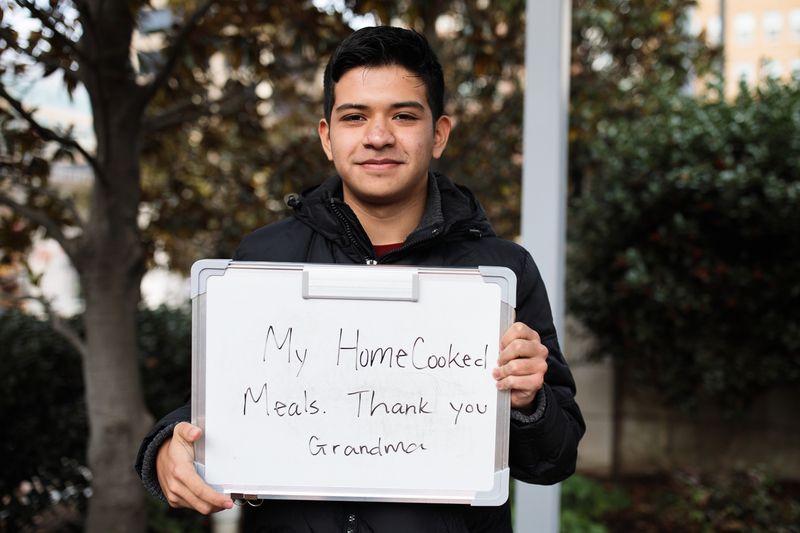 Claudio Martinez, a first-year student studying computer engineering: "Yesterday, they made me lasagna, and lasagna is my favorite dish." University community members, including the LeBlancs, joined Foggy Bottom-area residents for dinner and discussion.